Hong Chow is the General Manager of Roche Pharmaceuticals China. On June 16, 2017, Hong was honored as the first foreigner to get the permanent residence permit in Shanghai Free Trade Zone. 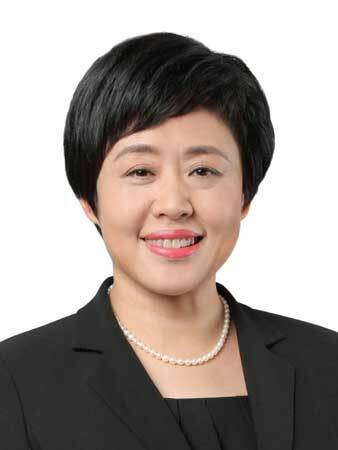 Chow took charge as general manager at Roche in March 2015, responsible for the pharmaceutical business in China with a wide range of products in key areas, including oncology and virology. She can speak fluent Mandarin, English, German and basic French. She is a seasoned executive with over 20 years of experience in the pharmaceutical industry. Before joining Roche, Hong also took key positions in other international pharmaceutical companies in China, Europe and the Asia-Pacific region. Hong’s international leadership experience together with her expertise in marketing and sales, business development, investor relations and financial management, enable her to set a compelling strategic vision with clear operational guidance. The team led by Chow has been engaged in corporate social responsibility activities, especially in public awareness of various diseases, and has helped develop local pharmaceutical industry talent and promoted children’s welfare.